It made sense, so we bought it. If we eat fat, we will get fat. Simple logic. Then the dreaded 3-letter word got linked with things like obesity, heart disease, and diabetes—fat was clearly the enemy. Well, it’s time to expose the truth, so here’s the skinny on fat. 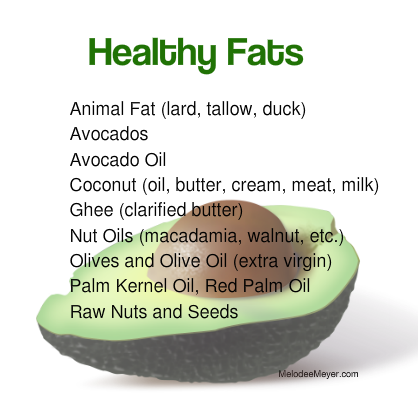 Fats are a vital part of a healthy nutrition plan! They help us absorb important vitamins and nutrients and are essential to our nervous systems. The monounsaturated fats in olives, olive oil, and avocados actually help us to prevent belly fat and protect our arteries from the buildup of plaque. The polyunsaturated fats found in fish and seeds help boost our immune systems along with brain function. The Omega-3 fatty acids in grass-fed meat help to normalize thyroid functions and increase our metabolic rates and muscle mass. Fat also plays a crucial role in reducing inflammation. See? Fat has been getting a bad rap. An added bonus? Healthy fats keep our appetites satisfied longer so we don’t overindulge. Have you ever noticed how at a restaurant you can keep reaching for another slice of bread, but when you have a small cut of steak you feel full? That’s because healthy fats keep us feeling satisfied faster and for far longer than refined carbohydrates and other junk. They’re a necessary part of a healthy diet. What happens if you don’t get your fat fix? When we don’t get enough fat, our body responds with some pretty ugly side effects. Fatigue, heart problems, vitamin deficiencies, mood imbalances, itchy skin, and poor body temperature regulation are just a few of the risks that come with not getting enough fat. Another side effect? Weight gain. WHAAAAT?!?! When our bodies don’t get enough healthy fat, it often leads to excessive appetite. Yup, not eating enough fat can actually make you fat. Oh, the irony! Fats are our friends! Without them our body functions can get thrown out of whack. However, that doesn’t mean that the fat in those deep-fried mozzarella sticks, packet of Ding-Dongs, or other processed foods is doing us any favors. The fats I’m talking about are the ones found in real, whole foods. It’s also important to keep in mind that those foods you see at the grocery store labeled “fat-free” are loaded with sugar, calories, and gross additives. So what kinds of fatty foods should we be eating? Here a list that will get you started. The bottom line is eating fat does NOT make you fat. You need fat. We should aim to have 3 servings of fat every day at about 1 tablespoon each for optimum health. Start taking healthy fats for what they really are: delicious, nutritious and oh, so satisfying! What’s your favorite fat and what’s your favorite way to eat it? Share in the comments below. 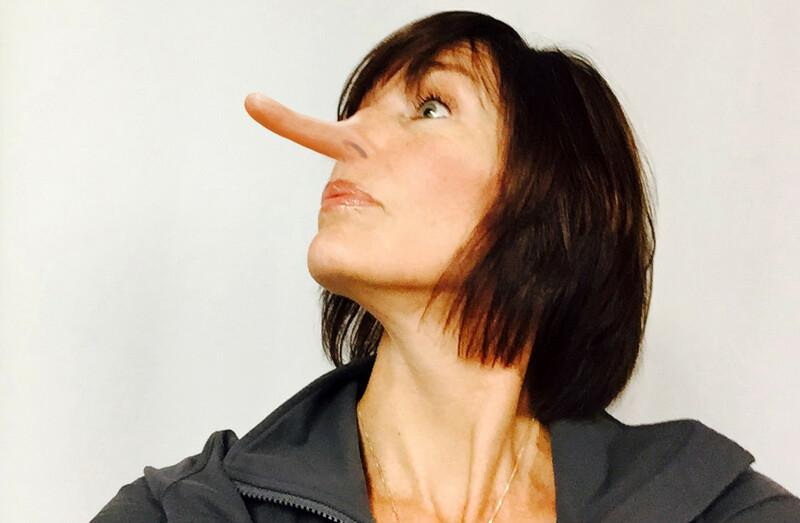 And what’s another Big Fat Lie you would like exposed? Let me know—I’m on it! Designed by Innerspace Marketing | Photo credits by MadPhoto.com | Copyright 2015 All Rights Reserved, MelodeeMeyer.com. Learn the 5 Secrets to Creating Your Dream Body — without dieting or going to the gym. Get Instant Access for FREE!